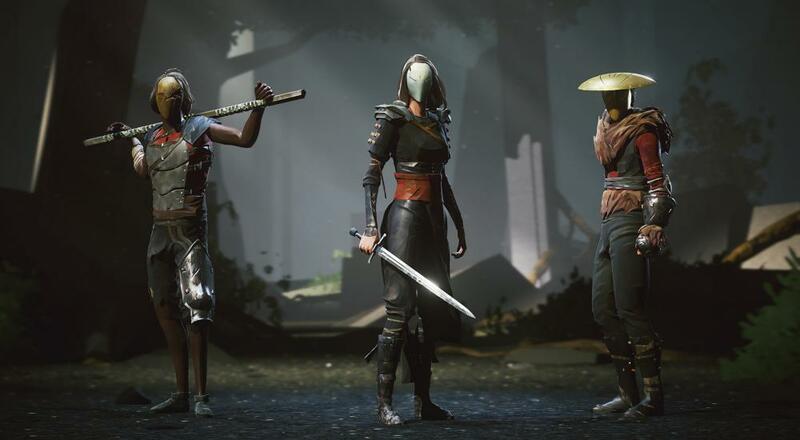 Last year we got a glimpse of a new title, Absolver, from a development studio, Sloclap, that's comprised of former Ubisoft devs. The game is described as an "online combat RPG" that allows players to craft their own unique fighting styles and features three player co-op. We haven't heard too much about the game since, but the final product is coming very soon. Pre-orders for the game went live last week on Steam and GOG.com as the release date of August 29 was finally revealed. While the main focus of the game is to fight other players to become the supreme champion, there is a dedicated PvE area where up to three players can team up online and do some dungeon looting. In addition to the digital edition of the game, there's a limited special edition that can be purchased via Special Reserve. The special edition includes the game on PC or PS4, some pre-order DLC (which you also get from the digital pre-orders), an artbook, stickers, and wearable mask. As far as video game tchotchkes go, a mask you can actually wear isn't bad. Absolver will release on the PC and PlayStation 4 simultaneously on August 29, 2017. Three player online co-op will be supported when exploring the Adal mines area.